Explanation: Not a glimpse of this cluster of stars can be seen in the inset visible light image (lower right). Still, the infrared view from the Spitzer Space Telescope reveals a massive globular star cluster of about 300,000 suns in an apparently empty region of sky in the constellation Aquila. When astronomers used infrared cameras to peer through obscuring dust in the plane of our Milky Way galaxy, they were rewarded with the surprise discovery of the star cluster, likely one of the last such star clusters to be found. Globular star clusters normally roam the halo of the Milky Way, ancient relics of our galaxy's formative years. 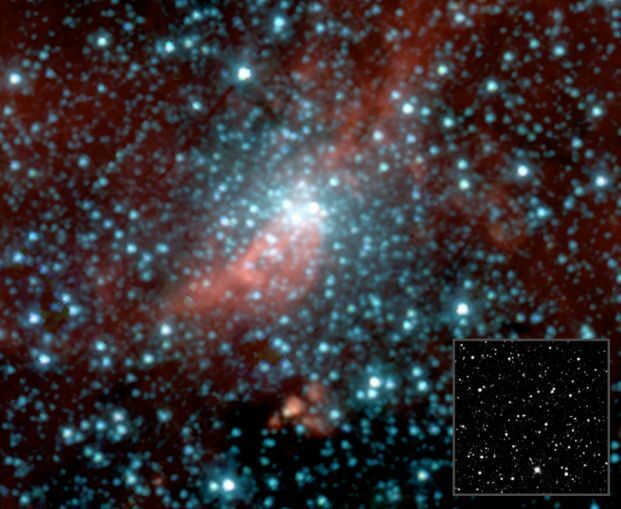 Yet the Spitzer image shows this otherwise hidden cluster crossing through the middle of the galactic plane some 10,000 light-years away. At that distance, the picture spans only about 20 light-years. 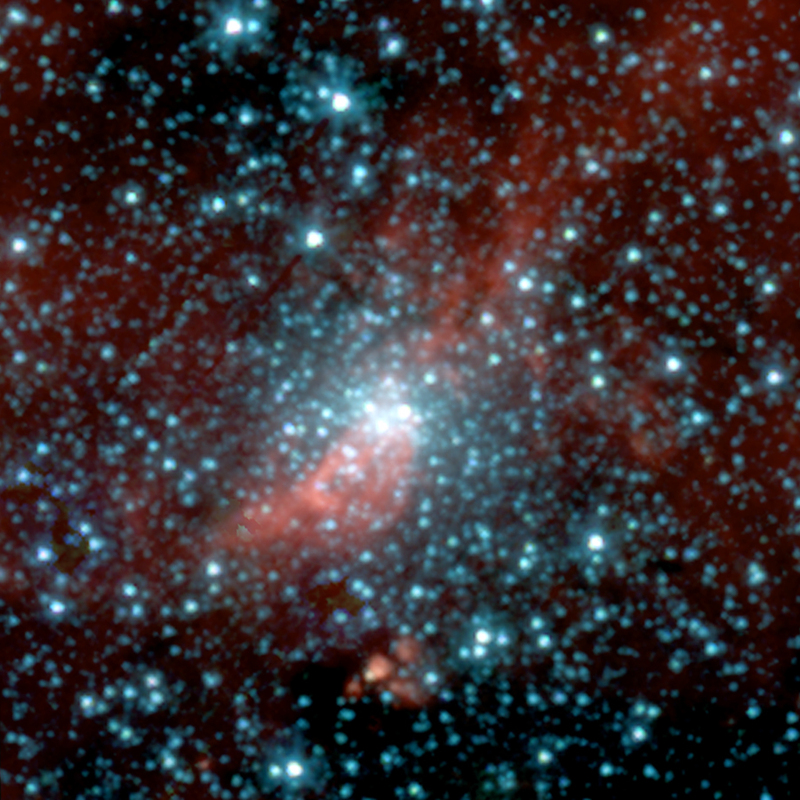 In the false color infrared image, the red streak is a dust cloud which seems to lie behind the cluster core.